Turtles and tortoises belong to one of most ancient reptile families, and have existed for 157 million years. They are older than snakes and crocodiles, but some turtle species are now highly endangered due to human consumption. Turtles belong to the order Testudines (from Latin word testudo or “tortoise”) which includes freshwater and sea-dwelling types. Let us find out if there are major differences between these two reptiles. Mostly aquatic reptiles. Mostly land-based turtles. Most have flippers or webbed feet, lighter and flatter shells. Most have short, sturdy legs and heavier shells. The definition of the word “turtle” varies depending on where you are in the world. In North America, it is a blanket term that includes tortoises and terrapins. The British use the word turtle to refer to the sea-dwelling species. Other species of turtles include tortoises and terrapins. Tortoises generally live on land, while terrapins normally inhabit brackish waters such as in estuaries where freshwater mixes with seawater. In Spain, tortuga is used to refer to turtles, terrapins, and dolphins. The largest living turtle is the leatherback sea turtle. Its shell can grow up to 6.6 feet or 200 centimeters and can be as heavy as 900 kilograms or 2,000 lbs. The smallest turtle, just 3.1 inches or 8 centimeters in length, is the speckled padloper tortoise found in South Africa. Turtles have lighter shells than land-dwelling tortoises. Flatter, lighter shells allow aquatic turtles to swim better and faster. Large spaces in the shell called fontanelles make the shells lighter. Most turtles are omnivores feeding on aquatic plants, snails, worms, and insects. Certain species are known to feed on dead marine animals, small fish, and other marine animals. Sea turtles eat jellyfish and other smaller marine creatures. Turtles have webbed feet for swimming and long, strong claws for climbing up riverbanks or logs. Some turtle species have developed flippers with shorter claws rather than webbed feet. Some aquatic turtles have their eyes near the top of their head, allowing them a better view above the water. The tortoise is a land-dwelling reptile that belongs to the Testudinidae family. It is under the order Testudines, along with sea-dwelling and aquatic turtles. Tortoises usually have heavier shells than their close relatives and are generally known to be more solitary. As mentioned earlier, the words tortoise, turtle, and terrapin are used interchangeably depending on the region you’re in. However, according to the American Society of Ichthyologists and Herpetologists, the term “turtle” covers all land and sea turtles under the order Testudines. 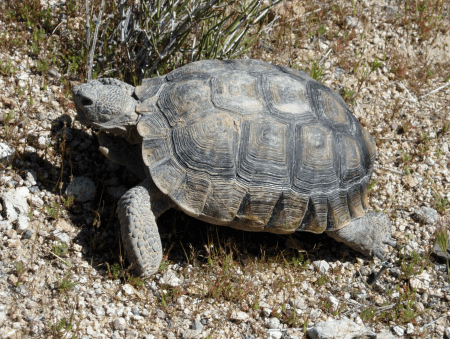 They use the term tortoise to point specifically to the slow-moving land species. Found usually in Africa and Asia, tortoises are generally plant-eaters feeding on weeds, grasses, green leaves, and even flowers. Some tortoise species are omnivores that feed on insects and worms. One of the more distinct characteristics of tortoises as land-dwellers are their short and sturdy feet. They are extremely slow, walking at 0.27 kilometers per hour or 0.17 miles per hour. What’s the difference between a turtle and a tortoise then? Using the American Society of Ichthyologists and Herpetologists definition, a turtle is a reptile with a hard, bony shell belonging to the order of Testudines which includes all sea, land, and other aquatic turtles. The term tortoise is used to describe most land-dwelling turtles. With this definition, we can highlight their general differences. A turtle is a reptile with a hard, bony shell belonging to the order of Testudines. The tortoise belongs to the same order but is under a different classification. 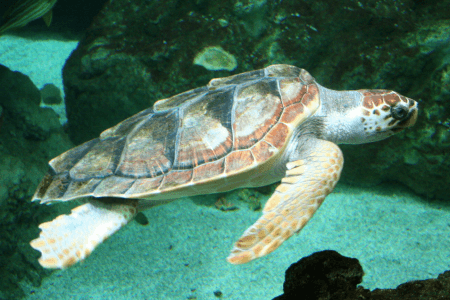 Most turtles live as sea-dwellers, while some are amphibious, meaning they can live on both land and sea. There are freshwater turtles and other species that live in estuaries where freshwater meets seawater. A tortoise is another species that mostly live on land. Most aquatic turtles have developed flippers, along with lighter and flatter shells that allow them to swim more efficiently in the water. Other turtles have webbed feet with claws to climbing up logs and muddy riverbanks. Tortoises have short but strong limbs that give them mobility on land. Turtles have been known to swim in the sea in groups (called a bale), while tortoises are recognized as solitary animals. Most turtles are omnivores feeding on aquatic plants, snails, worms, and even dead marine animals while tortoises are usually herbivores that like eating grasses, weeds, and flowers.